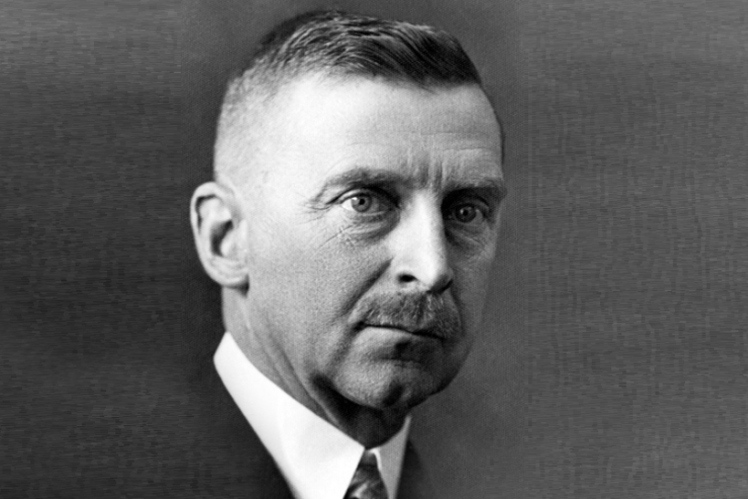 The co-founder and first general manager of ZF was born in Neufraunhofen on November 21, 1875. Against the will of his parents, who had envisioned a future military or legal career for their son, Soden studied mechanical engineering in Munich and became a graduate engineer upon completion of his academic studies in 1903. Soden worked as a design engineer already during the first years of his professional life at Daimler and MAN. He developed a combustion engine with a friend from the university, but that was not all. A wide array of inventions such as a shrapnel shell projectile, a wooden spinning toy, "invisible" suspenders, a shaver, a slide trumpet, or a spirit lamp, is associated with his name. In October 1906, Soden travelled to Lake Constance and saw an airship for the first time. Soden's initial contact with Count Zeppelin was of a pure personal nature, but in February 1910, the father of airship manufacturing at Lake Constance extended Soden an offer to join Luftschiffbau Zeppelin GmbH as head of the testing department, which was to be newly created. Soden accepted the position, relocated to Friedrichshafen with this growing family, and in the same year managed to successfully conclude the first trial runs of the LZ 6 and LZ 7 airships. During World War I, Soden introduced the idea of using bevel gears, manufactured according to the system invented by Swiss engineer Max Maag, for the airships, which were implemented predominantly for military purposes at the time. When this idea culminated in the founding of the Zahnradfabrik, Soden became its first general manager. After the Zahnradfabrik, founded as a GmbH [limited liability company], was converted to an AG [stock corporation] in 1921, Soden continued to work at the company on the Board of Management. In this function, he provided significant technological impetus for ZF. His innovative capability was especially fruitful in the aspiring automotive manufacturing industry. Developed in 1921, the "Soden transmission," with a preselection switch for the individual gears, represented a feat of engineering that was far ahead of its time. Soden's efforts to simplify and harmonize the automotive transmission led to the development of the "standard transmission" in 1925 and generated economic success. Soden, described by contemporaries as unassuming, always courteous and deeply religious, rejected the racist and aggressive ideology of the National Socialists. As Chief Technology Officer, Soden on the one hand supported the Zahnradfabrik's shifting focus towards war production. On the other hand, signs indicated a critical stance toward the Hitler regime: Soden never became a member of the NSDAP; he seems to have purposefully delayed his sons' memberships to the Hitler Youth movement. The 1940 introduction to the ZF anniversary chronicle signed by Soden is entitled "In These Solemn Times" and avoids any national-socialist vocabulary, despite the overall patriotic tone. In the anniversary year of 1940, the Count was awarded an honorary doctorate in engineering by the Technical University of Stuttgart. At this point in time, it was apparent that he was suffering from leukemia, which he was diagnosed with already at the start of the 1930s. Soden did not live to see the company he had helped co-found decline rapidly in the last months of the war. Alfred Graf von Soden-Fraunhofen passed away on June 14, 1944, and was laid to rest in Gut Neufraunhofen during a small family ceremony. Local National Socialist orders prohibited any kind of public gathering to honor the ZF co-founder's memory.